St. Augustine, Florida, just a half hour from Jacksonville airport, is celebrating its 450th birthday in September. (It was founded 55 years before the Puritans landed at Plymouth Rock!) And while the big fanfare is happening in the fall with a week of concerts, exhibits, re-enactments, and other events, we suggest visiting now to avoid the crowds and premium hotel prices. Here, just a few reasons for why you should visit the historic town. 1. Ghost Tours: Regular hauntings are reported in St. Augustine, from the “ghost bride" who roams the Tolomato Cemetery in her wedding dress to the rumored victims of the 1803 Yellow Fever epidemic, which wiped out one-third of the population in just 60 days. 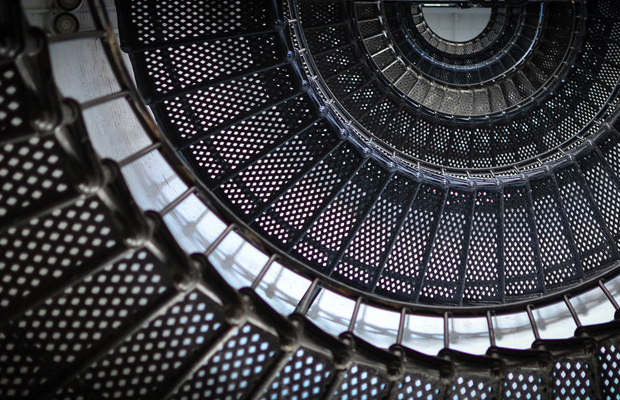 Take a ghostly tour by foot or horse carriage, or head over to the historic St. Augustine Lighthouse -- said to be the most haunted place in town -- for a Dark of the Moon paranormal tour. Don't like phantoms? Daytime views of the Atlantic Ocean and Intercostal Waterway above atop the lighthouse's 219 steps are pretty spectacular, too. 2. Beaches: This is Florida, after all, and there are 42 miles of white sand beaches along the Historic Coast. Vilano Beach is popular with surfers and kite boarders; Anastasia State Park has lovely dunes and a walkers-only section; and Crescent Beach is one of the most scenic and unspoiled beaches in the state. 3. Mission Hombre de Dios: Contrary to popular belief, St. Augustine was not founded by Ponce de Leon, who first visited the New World in 1513 but left shortly after. St. Augustine's true founder is Pedro Menendez de Aviles, and a 208-foot tall stainless steel cross marks the spot where he landed in 1565. The mission is now part of a 27-acre city park that also includes several archeological digs and a shrine to Lady of La Leche, patron saint of mothers. Visit either in the morning, when temps are cooler, or in the evenings, when the cross is lit at night. 4. Fountain of Youth: This artesian spring is a site that Ponce de Leon did discover in 1513. Today, it still burbles slightly moldy-tasting water and stands as a theme park, botanical garden, bona fide archeological site, and museum all in one. You'll find peacocks strutting around, dioramas of native Timucuan Indian village life, and sometimes archeological excavations, too. 5. Pirate & Treasure Museum: In the largest pirate museum of its kind, artifacts include 17th century sextants, treasures from the Atocha, and an original 1850 Jolly Roger flag -- one of the only two known to exist. There’s a wall of pirate news, including a 1722 newspaper clipping announcing the death of Bartholemew Robert, the pirate known as Black Bart. It all ends on an upbeat note in the last rooms, with posters, costumes, and videos of Hollywood pirate movies. 6. Colonial Quarter: Walk through re-creations of 16th-, 17th-, and 18th-century settings, including in the homes of soldiers and officers, a blacksmith shop, and a 1782 print shop that published the local newspaper. Interactive exhibits and history re-enactor guides turn facts into fun, while concerts and other events are often held in the evenings. 7. 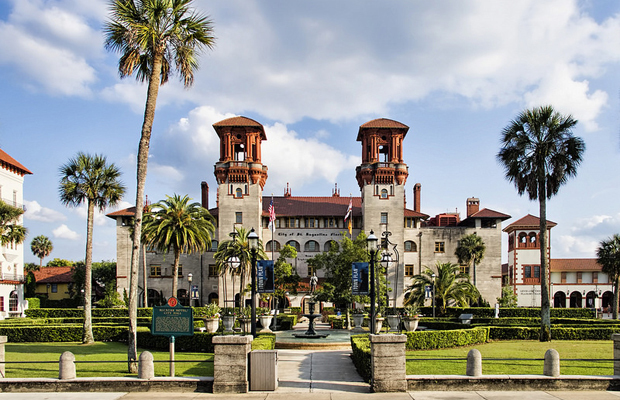 Flagler College: Originally built by railroad and Standard Oil millionaire Henry Flagler in 1888 as the Hotel Ponce de Leon, this sprawling Mediterranean-style building helped launch Florida’s tourism industry. It's now home to a well-regarded liberal arts college, where certain sections are reserved for guided tours. That includes the spectacular Flagler Room, dotted with Austrian chandeliers, Victorian furniture, and a fireplace made of the largest single piece of onyx in the western hemisphere. Even if you don’t take the tour, the grand entry, with its soaring Gilded Age dome and mosaic floors, is worth a visit. 8. Sports: TPC Sawgrass has not one but two championship courses that are open to the public, including the Players Stadium Course that's home to an annual championship with the largest purse in professional golf. Even if you don't play, you can always get a meal and free tour of golf memorabilia -- including the first trophy won by Tiger Woods -- at the clubhouse. Sawgrass also is home to one of the largest shopping malls, for those who consider shopping a recreational sport.